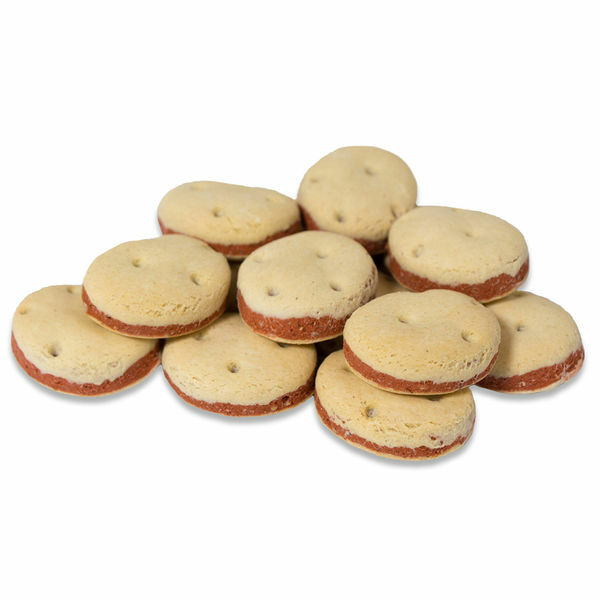 Oven baked, real cranberry and orange fruit treats great for small animals' and tooth conditioning. 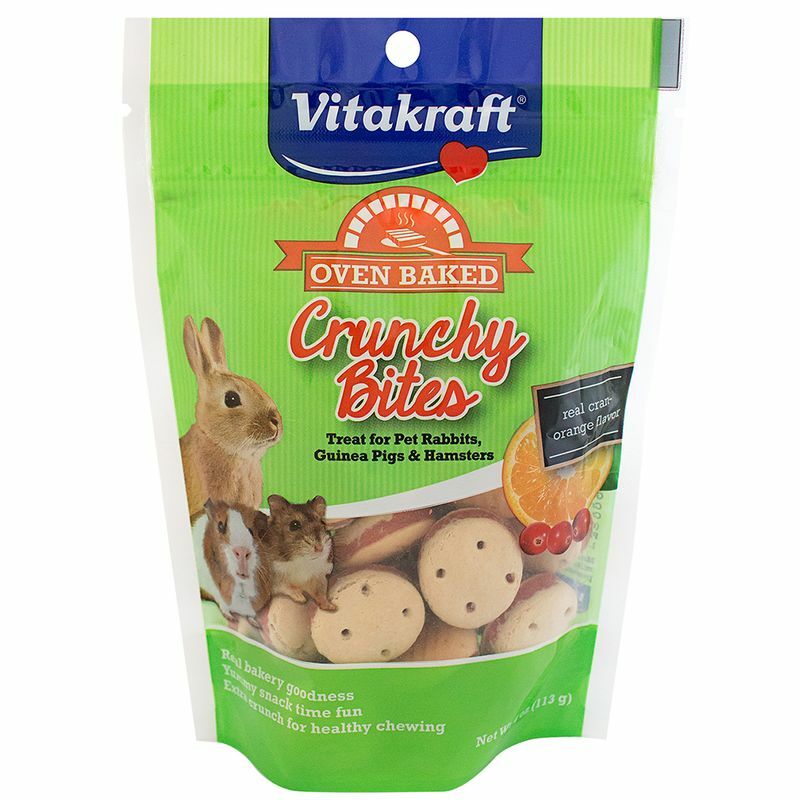 Oven Baked Crunchy Bites are baked to an ideal texture animals love and need to gnaw on to maintain strong, healthy teeth. Real cranberries, oranges, and whole grain ingredients are fortified with essential vitamins, making these treats both delicious and nutritious. Place a few Oven Baked Crunchy Bites on top of your pet's regular food, in a separate dish, or offer to your pet by hand. Fresh, clean water should be available at all times. 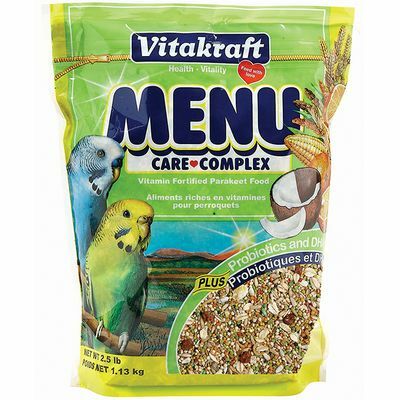 Ground Wheat, Ground Corn, Sugar, Vegetable Oil, Salt, Calcium Carbonate, Ground Cranberry, Ground Orange, Beet Juice, Vitamin A supplement, Vitamin D3 Supplement, Vitamin E Supplement, Iron Oxide. 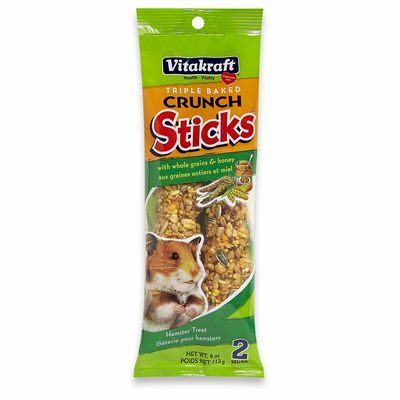 Crunchy treat sticks made with whole grains, seeds, honey, and fortified vitamins for a tasty, healthy reward.